Remote Monitoring System for Environmental Logging. 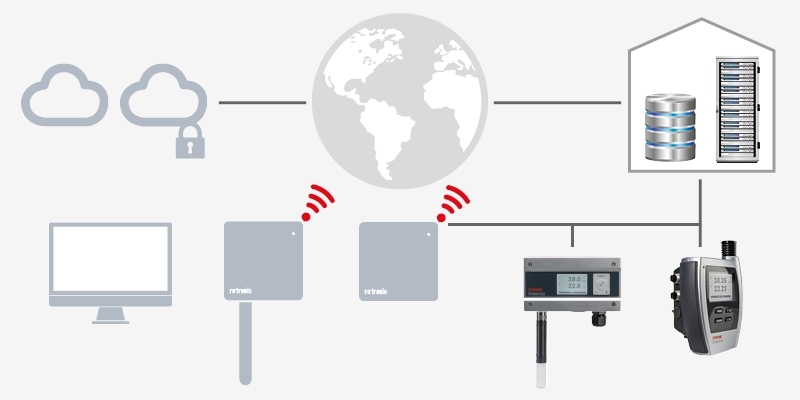 The continuous monitoring system RMS Rotronic meets the requirements of "IoT" and "M2M". Internet of Things (IoT) and machine to machine (M2M) communication are main factors in the design principles of Industry 4.0 that was introduced in 2011 at the Hannover Fair in Germany. The design principle is interoperability, where sensors, devices, machines and people can connect and communicate. An IoT ecosystem is built up with sensors, that transmit data via a gateway to the Internet. The data is then stored in a certified datacentre. With software, the data is then analysed and again via the Internet, the analysed data can be sent out to remote devices. This leads to another design principle which is decentralised decision making. From the remote devices and analytics, decisions can be made and commands can be sent, once again via Internet to the IoT devices. The remote devices allow for a third design principle: technical assistance. Services can be carried out directly from the results of the measurement devices. 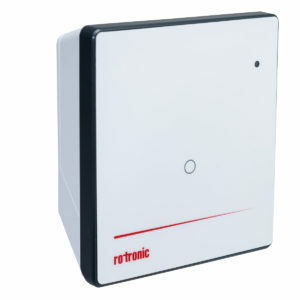 The mini data logger is a low-cost wireless data logger use wit the ROTRONIC monitoring system. Its small housing and wireless interface make it a really flexible. With this versatility, it can monitor refrigerators and incubators, as well as door contacts and OEM analog devices. The Gateway is the interface between the wireless data logger and remote software via LAN Ethernet connection. The Gateway can manage up to 60 data loggers simultaneously, collecting all wireless-logger measurement data, and passing them on to the server software. When several Gateways are used in the same network, they are configured redundantly. If one Gateway should fail, the measurement values are automatically sent to the server software via another Gateway. The HCD-S digital probe is characterised by its high performance with a new AirChip4000 chip, which together with the new HYGROMER® HT-1 sensor forms a powerful combination. With measurement results within 50 ms (electronics) it consumes very little energy without loosing accuracy. 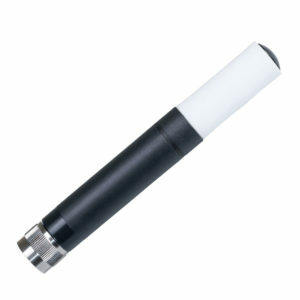 Temperature and Humidity Data Logging Transmitter via Monitoring system on the Cloud or direct to your network server. 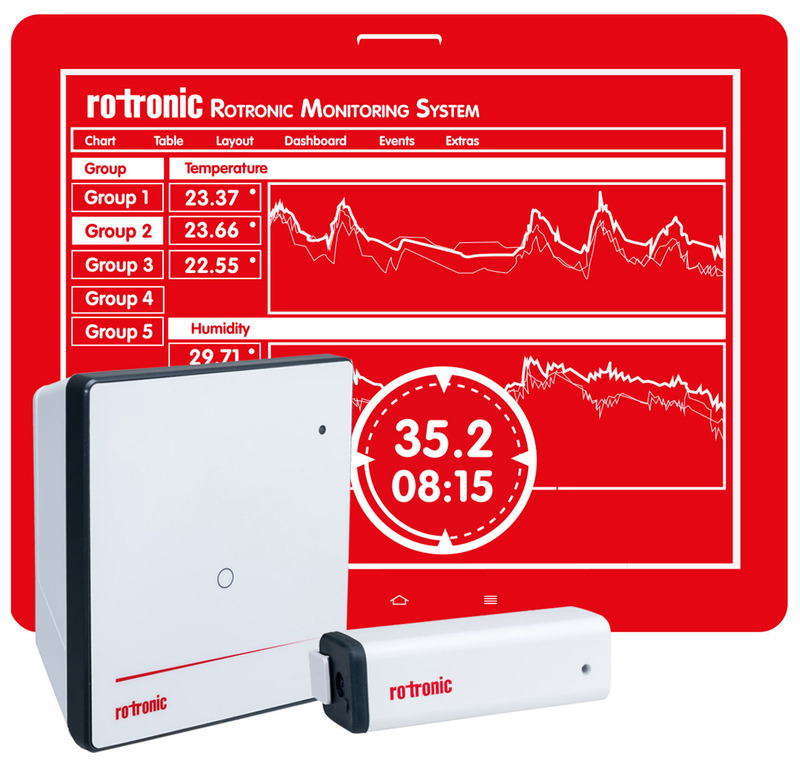 The data logger captures data from a probe and transmits it to a database in the ROTRONIC Monitoring System. It guarantees absolute data protection, even if power supply and communications should temporarily break down. As it stores 44,000 pairs of measured values from the exchangeable HygroClip probe, and transmits them to the RMS database via LAN. LAN Interface plug directly into a router with internet connection. Requires: interchangeable HygroClip probe and a cloud software account with Rotronic or the purchased software on you own server.